Does the name “Paddington” ring any bells? Despite the popularity of the beloved bear from the “deepest, darkest Peru,” many people are surprised to learn there really are bears in South America. 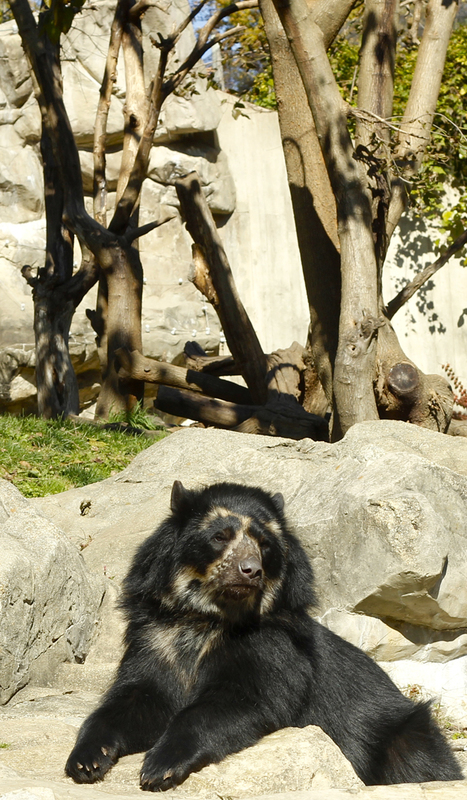 Andean bears (a.k.a. spectacled bears) live there, and their story is just as full of peril and adventure as Paddington’s. Some of the bear’s Andean habitats are so remote and treacherous that scientists still do not have a comprehensive population count. This healthy specimen lives at the National Zoo in Washington, D.C. The earliest ancestors of Tremarctos ornatus (Andean bears) arrived in South America about two million years ago. Besides Andean bears, ancestors of animals such as ocelots and tapirs also migrated from North America and established new populations on the southern continent. Today, these elusive bears occupy a vast territory encompassing dry forests, cloud forests, and the formidable Andes Mountains. Their territory stretches through Bolivia, Venezuela, Colombia, Ecuador, Argentina, and, of course Peru. Some of the bear’s Andean habitats are so remote and treacherous that scientists still do not have a comprehensive population count. The most-cited population estimate for oso Andinos in the wild is 20,000—less than the population of wild mustangs in the United States, less than the population of elephants in Africa, and about the same number as polar bears in the Arctic. Most scientists consider the species imperiled and their conservation status is listed as “vulnerable” by the International Union for Conservation of Nature (IUCN). “Andean bears . . . are most likely to move toward extinction,” the report states. Yikes! Extinction? How did the situation for South America’s only surviving bear species become so dire? Well, it turns out there are several antagonists in this story. Climate change and global warming are having a damaging effect on the habitats this endemic species occupies. Every Andean bear has its own distinctive “fingerprint” of distinct cream or whitish markings on its head, throat, and chest. 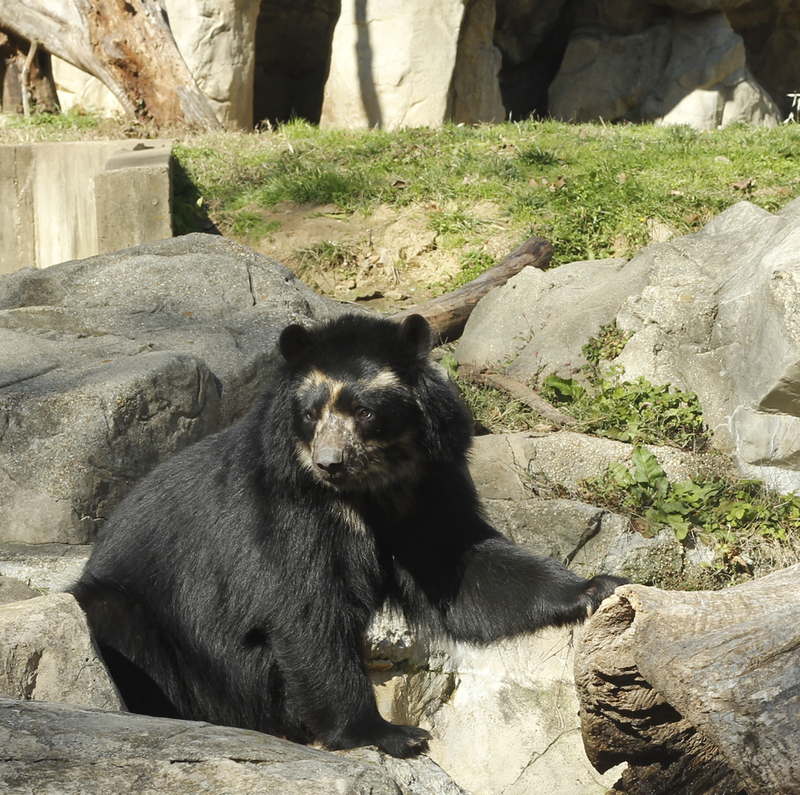 However, hope is not lost for Andean bears, affectionately referred to as “spectacled bears” because the rings around their eyes make them look like they are studiously peering out from behind a pair of spectacles. Some indigenous people, for instance, such as the Kichwa community of Ecuador, focus on conservation science and monitor the population of bears. Paddington ultimately made his home in London and did not return to Peru. But one of his real-life cousins, a female named Cosanga, has returned to the wild. National Geographic grantee Armando Castellanos rehabilitated Cosanga, rescued as an orphan, and prepared her for life in the Andean wild. Earlier this year, in a grassy area in Cayambe Coca National Park, Ecuador, the bear turned her back to biologists and ambled off into the sprawling landscape, leaving everyone hopeful that this happy ending is just the beginning for the next generation of Andean bears. Johnna Flahive is a research manager at National Geographic. If you’ve gone Wild with The Incredible Dr. Pol, you can thank Johnna! Next Next post: Which Cities Are Fossil-Fuel Free?